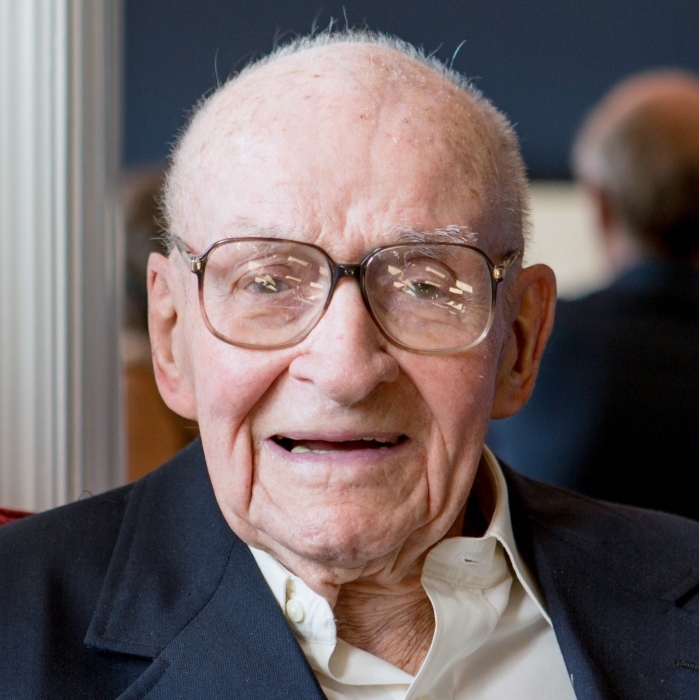 FRANCIS JOSEPH DALY, Age 97, a native of Washington, D.C. and long-time resident of Scituate, Massachusetts, passed away at his residence in Marshfield, Massachusetts on February 7, 2019. He is survived by his son Stephen Daly, of Boston; son John Daly and his husband William Jenkins, of Washington, D.C.; grandson Colm James Daly of Bryn Mawr, Pennsylvania; daughter-in-law Dawn Brennan-Daly of Portland, Maine; and several nephews. His wife of 64 years, Patricia McDermott Daly, died in 2012. Frank received his degree in engineering from Catholic University in 1943. He then served in the U.S. Army Ninth Armored Division, in which he attained the rank of 1st Lieutenant. He was wounded at Bastogne, Belgium, during the Battle of the Bulge, on Christmas Day 1944. During his career as a civil engineer, he served for many years as a civilian in the U.S. Army Corps of Engineers. Frank and Patricia traveled widely, and he enjoyed many other interests, including music, bridge, genealogy, history, crossword puzzles, and old jokes (the cornier the better). Frank’s nephew, Father Tim Daly of Daytona Beach, Florida, will officiate at a Mass of Christian Burial in St. Mary of the Nativity in Scituate, at 10:00 a.m. on Wednesday, February 13, 2019 . The family will receive visitors at the McNamara-Sparrell Funeral Home, 160 So. Main St. (Across from St Anthony Church), Cohasset, from 4-8 on Tuesday, Feb. 12, 2019. Memorial donations may be made St. John’s College High School in Washington, D.C. (https://www.stjohnschs.org/page/support).